India's Economic Survey 2018 released on Monday, 29 January, is encouraging as there is a recognition that greater investments in health care critical for development of our economy. 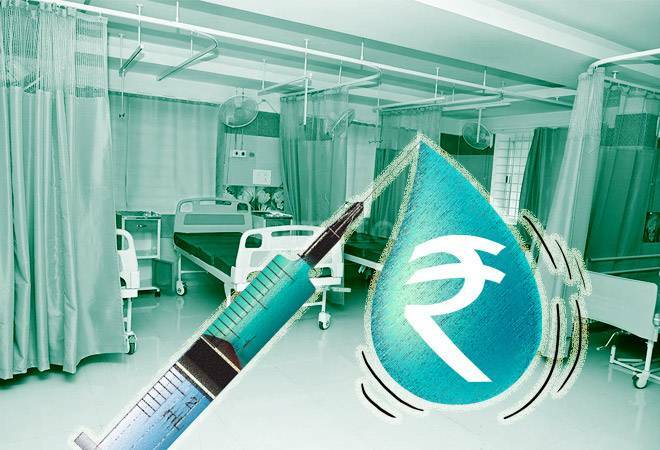 India's Economic Survey 2018 released on Monday, 29 January, is encouraging as there is a recognition that greater investments in health care critical for development of our economy. This is not only aligned with the National Health Policy 2017, but also the Sustainable Development Goal 3 (Better Health and Wellbeing), as strengthening health systems delivery will help in moving towards universal health coverage. The National Health Policy, 2017 has envisaged increasing public health spending from 1.15% of GDP to 2.5% of the GDP by 2025. In 2017 the government also renewed its commitment to invest three billion dollars by 2020 towards family planning, made at the 2017 Family Planning Summit in London. These promises need to be underlined, in light of the statement in Chapter 10 of the Economic Survey that states, "Being a developing economy, there is not enough fiscal space to increase the expenditure on critical social infrastructure like education and health in India." Emphasis on target-driven measures that contradict India's commitment to population stabilisation through voluntary and informed choice and consent of citizens. The family planning (FP) component receives merely 4% of the total budget available under the National Health Mission's Reproductive and Child Health (RCH) Flexi pool. Analysis of data from the Financial Management Report (FMR) shows that in the financial year 2016-17, only 60.7% of the funds available for family planning were spent. Further examination also shows the skewed allocations for FP, despite policy decisions to promote spacing methods and improve the quality of care. This is evident from the fact that 64% of the 2016-17 FP budget was allocated to terminal and limiting methods of contraception, while just 3.7% was allocated for spacing. Even more worrying, 40% of the allocations for spacing methods were not utilised in 2016-17. Findings of Demographic and Health Survey data included in the latest Economic Survey highlight women's lack of agency in making decisions related to sexual and reproductive health. Nearly 47% women do not use any contraception, and of those who do, less than a third use female-controlled reversible contraception. Since few women use reversible methods of contraception, they have little control over when they start having children, but only seem to have control over when they stop having children. More allocations on behaviour change communication will improve women's agency in exercising their choice. The government needs to provide adequate funding to improve the quality of services and boost demand for family planning through better awareness and access. The Population Foundation of India calls on the government to match its commitments with adequate budgetary allocations and effective spending. This is also reflected in the Economic Survey 2018, which calls for efficiency in the use of resources in order to translate enhanced expenditure into improved health outcomes.